Some MZ-80 owners might think that the disks and printer are the only peripherals available for their computer. This is a popular fallacy, but the truth is that there is a wealth of extraneous gadget available outside the U.K. In this article I hope to shed some light on these obscure machines, and will outline some of the other peripherals now on sale from firms other than Sharp. 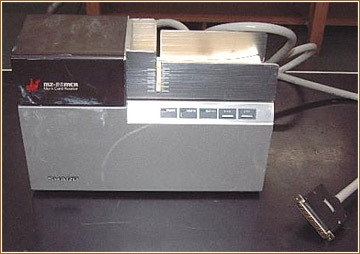 A main criticism of the Sharp MZ80 systems is that there is no colour facility. Wrong! There is, in Japan, the MZ80DU colour unit. It consists of an intelligent terminal designated the MZ8DU-A, which runs on a Z80A processor supporting 52K of RAM. With it comes a 14“ ( 36cm ) Display Monitor, which can display graphs and figures in up to 24 vivid colours. It has 59000 point resolution with 8 levels of colour saturation, and is controlled by a special SP-3001 tape and the SP-5030 BASIC. ( This can be obtained from the Club ). Because of the price of the unit, an inflated £1144 including VAX, Sharp ( UK ) are not importing it to this country as they reckon the price will put people off. But for those MZ80 owners who have a spare £1000 it is available from Knights of Aberdeen, but this is the only outlet as they are importing colour themselves. The MZ80DU plugs into your interface unit using a card called the MZ80CK2I/0. Also available in Japan ( but not here from any stockist ) is the MZ80MCR Mark Card Reader. From its picture it looks a very smart unit, but the question is – how many British owners are prepared to spend around £467 for the glories of that much outdated medium, punched cards? Here I must agree with Sharp ( UK ) in that the MCR is too obscure to sell well over here. The unit appears to use an interface card, the MZ80MCB, but I doubt whether it will work on the MZ80K since it looks like it is designed for the molto expensive MZ80B computer. Both the NCR and the DU are only produced with silver finish to complement the ‘B‘. 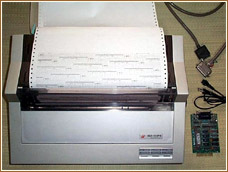 Four dot matrix printers are produced by Sharp; the MZ80P3 which we all know and love, the MZ80P4 which will run on both computers and is a 160 column version of the P3 and there is the MZ80P5 – the standard MZ80B printer which has the added advantage of user-definable characters (The P3 will allow this but only if you replace the EPROM inside it containing the characters ). Finally we come to the MZ80P6, recently released over here, which has both friction and tractor feed options. 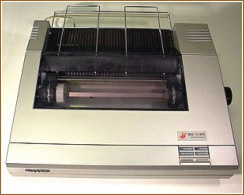 What would be interesting would be to find out what, if anything, were the MZ80P1 and MZ80P2… The prices of the printers vary from £380 ( P3 and P5 ) to £440 ( P6 ); as for the as-yet-unseen P4 then I imagine it would cost a similar amount. Incidentally, if you have an insatiable desire to see these described units I suggest you contact Graham Knight in Aberdeen, who gave me the Japanese MZ80B brochure 8 or 9 months ago, from where some of this inside information is gleaned. He might be prepared to photocopy the brochure ( for a fee?! ). The script is all in Japanese, but the pictures are quite pretty. From here on we get much more obscure. There is not space here to describe all the MZ80 series products ( I counted 47 of them ) but here is a list of some we probably won‘t be seeing. The MZ80SC is a six-socket mains unit which allows you to run six gadgets from one mains supply. Unfortunately it uses only Japanese plugs and runs on 110 volts. The MZ80BK, MZ80BFI, MZ80BG, MZ80BGK, and MZ80BFC will remain as odd as they look, but then they are all ‘B‘ products and I suspect that some are marketed here under different names. 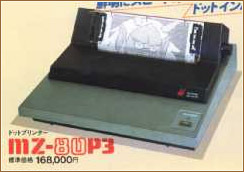 ( Did you know that the ‘B’ disks and printer are called MZ80BF‘s and MZ80BP5‘s in Japan but not here?). For the MZ80K we do not have such a long list of unknowns, but there was on a single board, similar in design to the long-discontinued Sinclair Mk14. The MZ-40K never made it over here, but was sold in Japan for a while and withdrawn when the first kits of the ‘80K were introduced early on in 1979. By the way, how many of you knew that the first MZ80K units imported were bright red? And that a reset switch was fitted as standard on the Japanese kit machines? Re disks, the UK now has the single disk drive, the MZ80FSD, released in January at the “Which Computer“ show in Birmingham. There was a lot of hum-ing and ha-ing as to whether the single drive would be available here, since Japan has had it for a couple of years. But for those owners who cannot afford a dual drive at £575, the FSD fits in nicely at an expected price of £300 odd. A special Single Drive Disk Copy program is supplied ( it is also sent with SP-6115 Double Precision Disk BASIC ) to enable disk copies to be made with the one drive. Sharp do market their own disks, MZ80FBD‘s, but they are not available here and would probably be prohibitively dearer than their competitors anyway. One item I recently discovered that may be of interest to the Club is that the SP-5060 Basic ( SP= Systems Program ) is not in actual fact an official Sharp interpreter. It was a standard SP-5025 version which has been changed ( for the better ) by a Belgian firm. Needless to say, Sharp‘s UK operation frowns on this bootleg BASIC. Now we come to the more widely available add-ons for the MZ80K. Much coverage has been given to the Quantum Micros Hi-Res Unit marketed by “Bits and PC‘s“, so it seems fitting to give it a quick mention here. It necessitates removal of the CPU and the 2716 character generator inside the computer, these being replaced on top of the Hi-Res board. This then plugs into the empty sockets produced, and with a few tracks cut, a few wires soldered in and a deft hand for insertion, you have 64000 point Hi-Res. The only drawback with the board is its excruciating slowness, but there‘s nothing that can‘t be changed with a knowledge of Machine Code. The actual memory map of the MZ80K itself is a drawback because it wastes 7K of RAM which could be put to some other use ( i.e. a cheaper Hi-Res board ) but that‘s a subject that I shan‘t delve into here. 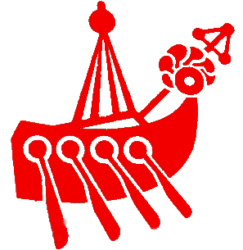 Recently Knights of Aberdeen introduced a whole host of add-ons. There is the “Super Speed“ board, which replaces your 2MHz Z80 with a 4MHz Z80A ( as used in the MZ80B ) and thus speeds up everything x2 except obvious points like the MZ80P3 printer which is largely mechanical anyway, and the speed of displaying on the MZ80K‘s built-in CRT. Knights also sell their “Wordmaker“ speech board, about which I know little, but it can be seen in the June 1981 issue of “Electronics and Music Maker“. It needs an interface unit, unlike the other two described peripherals. “Knight Vision“ is a board which allows you to change between normal 40-character display and illegible 80-character format at the flick of a switch. These gadgets appear to sell at £95 each, except Hi-Res which is £124. There are other machines around for interfacing to the ‘K‘, but they have been on general release for some time now. What would be useful is a sound board using an AY-3-8910 sound chip, as heard in the Atari computer range. Apparently it is very easy to construct such a board, and details will probably be disclosed in the next ( or this ) issue of the Club notes as well as the ubiquitous Knights next newsletter. 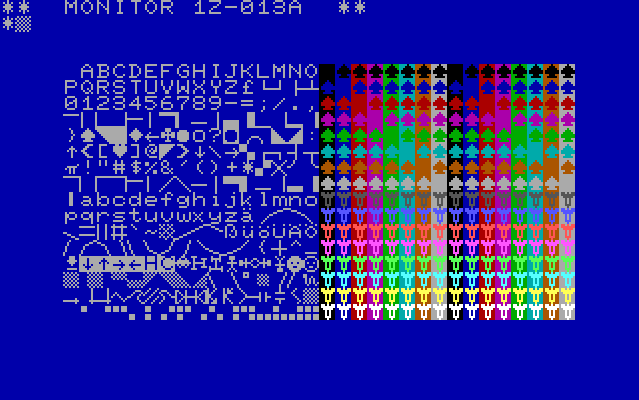 It has a green screen, displaying 40 characters on 25 lines as before. A new, “proper“ keyboard is fitted. 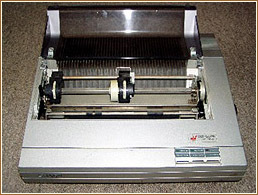 It is very similar to the MZ80B typewriter-Style version, with a GRAPH key to access lower case and graphics. The resolution is no better than the K‘s 4000 points. The MZ80A is entirely finished in beige plastic. Software from the K can be converted to the A via a special tape. Peripherals can number up to 4, with the P4, P5 and P6 printers being supported. 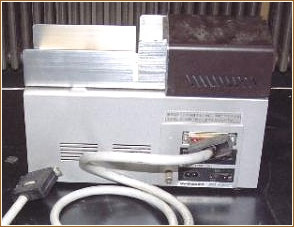 The disk drive is the MZ80FB double-sided double-density, the same as the MZ80B drive. The printers have a selection of ROM‘s available, each giving a different set of characters. Incidentally, the P4 machine, offering 132 characters per line, retails at £749. The interface in the A is built-in. The design of the MZ80A is MZ80K-esque, with the cassette deck inbuilt as before, but with emphasis towards it being an integral part of the machine and not an afterthought as it has been described. The corners of the machine have been rounded off. Systems software ha. been given the catalogue number SA; BASIC is SA-5510. It includes some of the MZ80B commands such as MON, COPY/P, PAGE/P, AUTO etc. The character set on the A is apparently the same as the K, but as I haven‘t yet seen one I cannot tell you more. Sharp have set the retail price at £478.39 ( ish ) and they say that any dealers who offer discounts are to be struck off the approved list. The release date is set at “April”, and adverts should start appearing soon after.